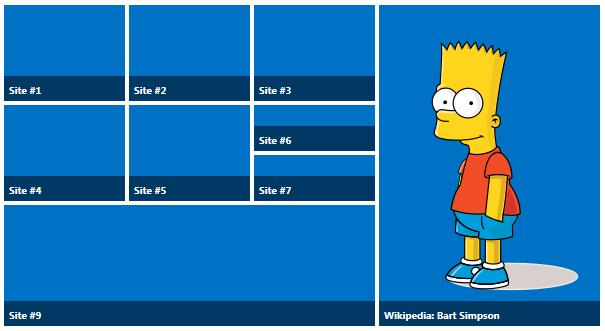 Some time ago Anchal Nigam asked if it was OK to make a spin-off based on my SharePoint 2013 style tiles solution. This was no problem to say yes to as my tiles solution has fallen a bit behind on the updates due to other projects – mostly DFFS. I have now finally fond the time to try out his solution, and it is great! There is a lot more configuration options than in my original version, and best of all: it has a GUI to create or edit the tiles directly in a grid on the page. This is not a sponsored review. I have written this as a courtesy to Anchal. I have nothing to do with this solution, and therefore all related questions must be posted in the page linked above.